The annual international arbitration conference “Kyiv Arbitration Days: Think Big!” took place in Kyiv on Friday, 14 September 2018. The conference gathered leading arbitration practitioners from all over Europe and the North America. It ran under the auspices of the Ukrainian Bar Association. 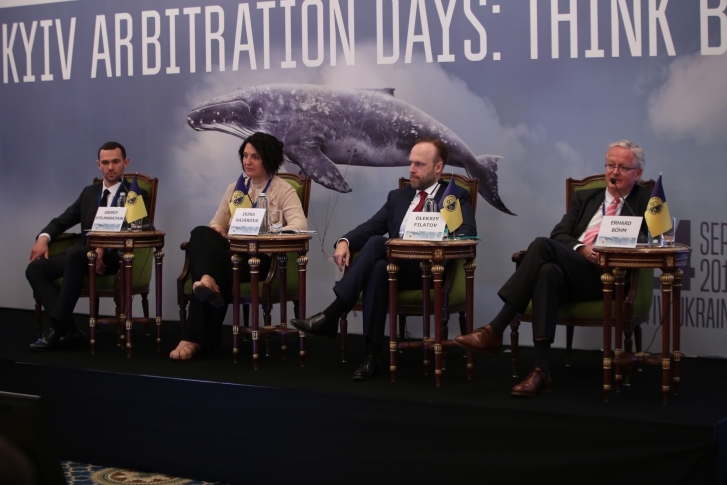 This year the conference took place for the eighth straight year and gathered 170 leading arbitration professionals. It was initiated in 2011 by ENGARDE’s Managing Partner Ms Irina Nazarova and organized back then jointly by the Ukrainian Bar Association and the Kyiv Arbitration Days’ Organizing committee gathered by Irina Nazarova. Currently two ENGARDE’s partners serve on the Organizing committee of the conference – Irina Nazarova and Dmytro Donenko.